They say that you should do something physical once a day every day. Or you should at least do it for 5 days in a row in a semi-rigid routine and a loose outdoor style for the weekend. I say,”Does it really have to be that way? Because there are some times when I have trouble doing any kind of meaningful exercise.” The thing with me an exercise is that we don’t always see eye to eye. I truly need to motivate myself or be motivated by something to be propelled forwards. You may or may not be like me, it’s possible that you can relate to me even if it’s just a little bit. That is truly okay. However, I truly believe that everyone deep down inside is concerned about their own well-being and the well being of their family members. This is why whenever I get a chance to learn something new about health & fitness products and exercise I jump at the opportunity. Whether it is the newest thing in yoga and getting it hot, or maybe that brutal zombified endurance race/death match, or maybe you’re just a plain old slow walker. It doesn’t matter what your point of view is coming into this thought of mind. Eating healthy, daily exercise and meditations, coupled with family and people communication is key to happiness. 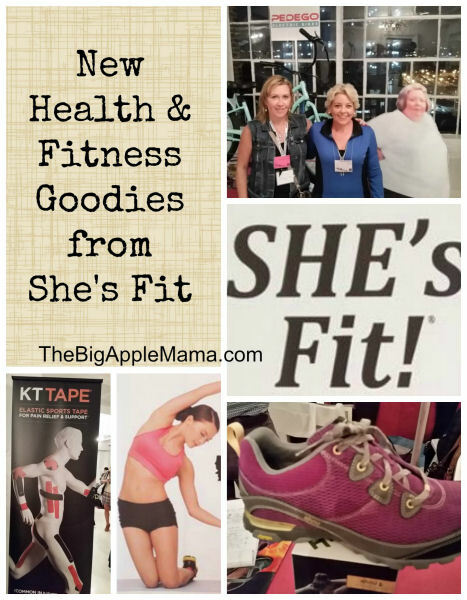 Last Thursday I was invited to She’s Fit media event right here in Manhattan. SHE (Style Hunt Events) brought together 27 cool companies in one room to showcase their products, ranging from apparel and nutrition to workout gear and apps in the areas of women’s health & fitness. All of them sharing gourmet bites, open bars and swag bags with NYC media. Some stayed for few minutes, I stayed for 3 hours, and was so glad to chat with the companies reps and get my hand on some of the products in the fitness industry. Below I will share the highlights from the event.